Our custom paper beverage napkins is a great way to add a personal touch to your special and very important day! Celebrate in style with your very own personalized photo paper beverage napkins. 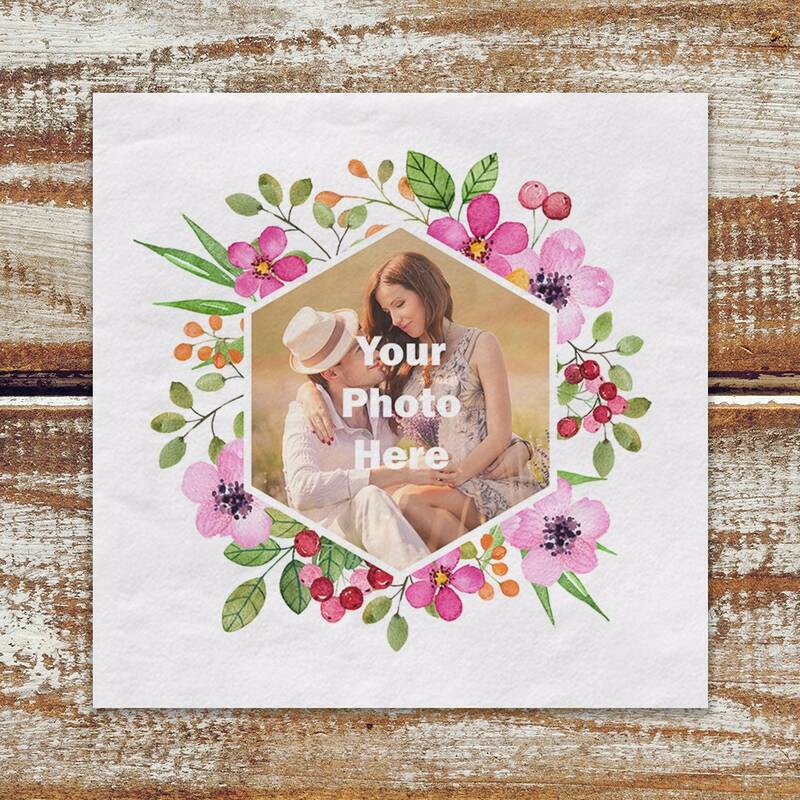 These paper cocktail napkins feature afloral background with the couples photo in a geometric shape. This style would also be great for wedding anniversaries, a graduation celebration or birthday bash. 4. Contact PineAndBerryShop via the contact link and attach the photo you would like printed on your napkins. If you would like to see a proof before your napkins are made please let PineAndBerryShop know when you include your photo. If you don't request a proof then your napkins will go into processing and production right away. A proof will delay production times as you will need to approve the proof before production can begin. Your business is important to us and we thank you for it! 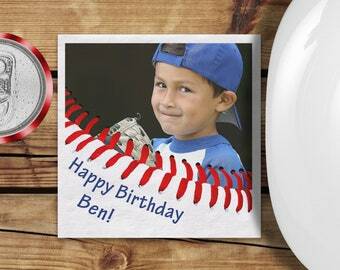 Personalized Photo Napkins Baseball Birthday Party Theme Beverage Napkins, 4.75" X 4.75" 3 Ply Paper, May Be Used For Snacks And Desserts.